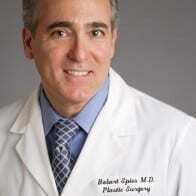 Scottsdale, AZ – March 2, 2016 – Dr. Robert Spies is one of 500 doctors in the nation to receive the prestigious RealSelf 500 Award, out of nearly 13,000 board certified specialists with a presence on RealSelf the leading online community helping people make confident choices in elective cosmetic procedures. In a time when 1 in 4 U.S. adults share their health experiences on social media channels, the medical professionals that made the 2015 RealSelf 500 are recognized both for having an outstanding record of consumer feedback and for providing credible, valuable insights in response to consumer questions about elective cosmetic treatments, plastic surgery, dentistry and more. 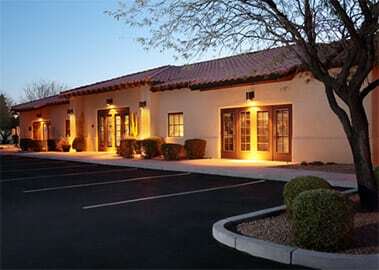 Before practicing cosmetic surgery in Arizona, Dr. Spies received his training and education at Ohio State University College of Medicine and at the University of Kentucky Medical Center. He has received awards and recognition for his work including being the recipient of the American Medical Association Physicians Recognition Award as well as being voted “Top Doc” for 2003 by a group of his peers. Not only does this recognized Arizona cosmetic surgeon dedicate his time to his practice, but also to the community. Dr. Spies has donated his time and skills to perform reconstructive surgery on children with birth deformities in Mexico and plans on taking his efforts to South America. Dr. Spies is an expert contributor to RealSelf, and to date has posted 387 answers to questions on RealSelf. Each month people from all over world ask important aesthetic-related questions, such as Breast Augmentation questions or What is a Mommy Makeover. Dr. Spies also maintains a patient star rating of five out of five stars in RealSelf reviews. Since its founding in 2006, RealSelf has created the world’s largest community for learning and sharing information about cosmetic surgery, dermatology, dentistry, and other elective treatments. Our extensive collections of reviews, photos, videos and doctor Q&A make RealSelf the most trusted resource for those who are looking for help beyond the beauty counter.